Tanto, as he is affectionately known in security contracting circles – is a former Army Ranger from 2nd Battalion 75th Ranger Regiment and private security contractor who has deployed throughout South America, Central America, the Middle East and North Africa. He also worked with the US Government’s Global Response Staff conducting low profile security in high threat environments throughout the world. Mr. Paronto was part the CIA annex security team that responded to the terrorist attack on the US Special Mission in Benghazi, Libya, September 11th, 2012, helping to save over 20 lives while fighting off terrorists from the CIA Annex for over 13 hours. Mr. Paronto’s story is told in the book 13 Hours written by Mitchell Zuckoff and his five surviving annex security team members. Kris’ newly released memoir, The Ranger Way, is now available. 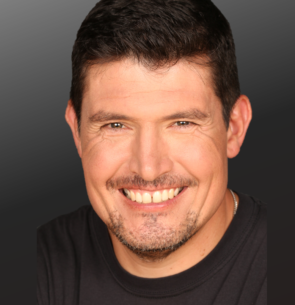 Mr. Paronto was born in Alamosa, CO, and obtained his Associate Degree from Dixie College (now Dixie State University) in St. George, Utah, Bachelor’s Degree from Mesa State College in Grand Junction, Colorado and Master’s Degree from The University of Nebraska at Omaha. He served 4 years in the US Army and an additional 4 years in the US Army National Guard reaching the rank of Sergeant then becoming a commissioned officer in 2003. He started contracting for Blackwater Security Consulting in 2003 and continued to deploy on various security contracts, to include the Global Response Staff until 2013.